I'm running Alfred 3.7  on macOS 10.14.1 (18B75), and have spotted multiple Alfred hats in my menu bar a few times recently. Today, it's two Alfred hats. I saw four the other day, but didn't think to take a screen shot. 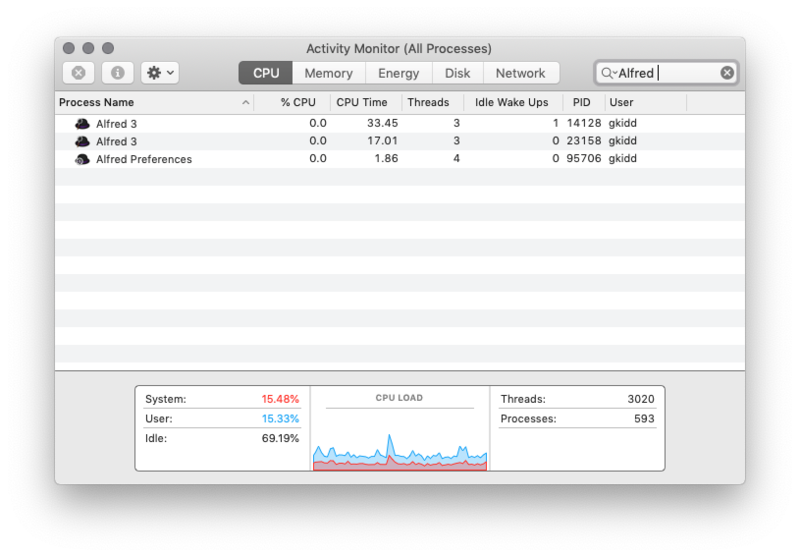 Activity Monitor shows two Alfreds. I'm not sure how there are two. I'm not in the habit of starting Alfred again. If I try to do so deliberately, the new Alfred invokes the first and then shuts down. Alfred intrinsically won't allow you to manually launch two instances (e.g. 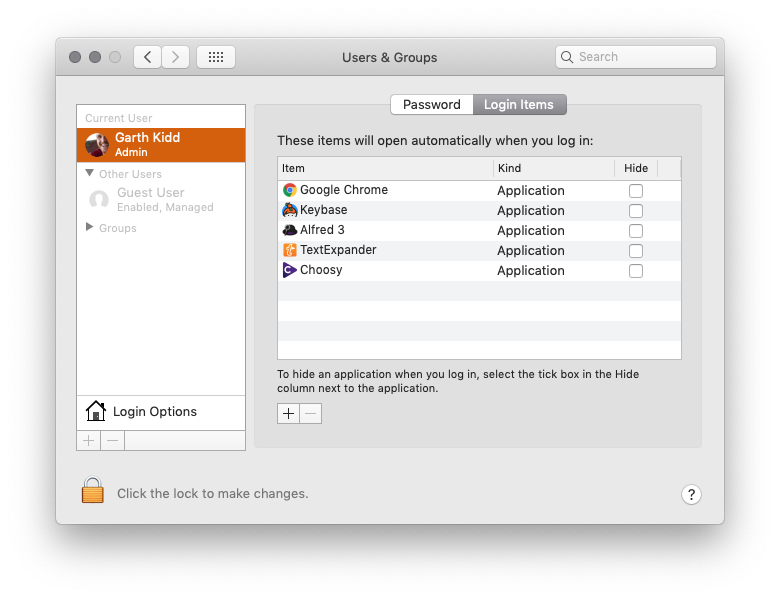 clicking on Alfred in the Applications folder will simply show Alfred's search box, rather than launch another) but it's possible for a workflow or external trigger to force it to run. First, could you please take a look at whether you're using the Alfred-Emoji workflow? A couple of users reported in the past week seeing two instances of Alfred, and the constant between them seemed to be that they both used that workflow. Next, could you please launch Activity Monitor and double-click each instance of Alfred to their details; Under the "Open Files and Ports" tab, take a look at whether the path for both instances of Alfred is exactly the same, or whether you have two Alfred apps launched from two different locations. If there are two separate versions installed, please delete the one that isn't in your Applications folder. They're all the same /Applications/Alfred 3.app, but I do use the Emoji workflow.